Introducing "Art Passport YXE": a brand new city-wide collaboration featuring 14 gallery and art spaces across Saskatoon. Art Passport YXE is your personal guide to the visual arts in our city and is proudly presented by PAVED Arts and supported by Remai Modern. 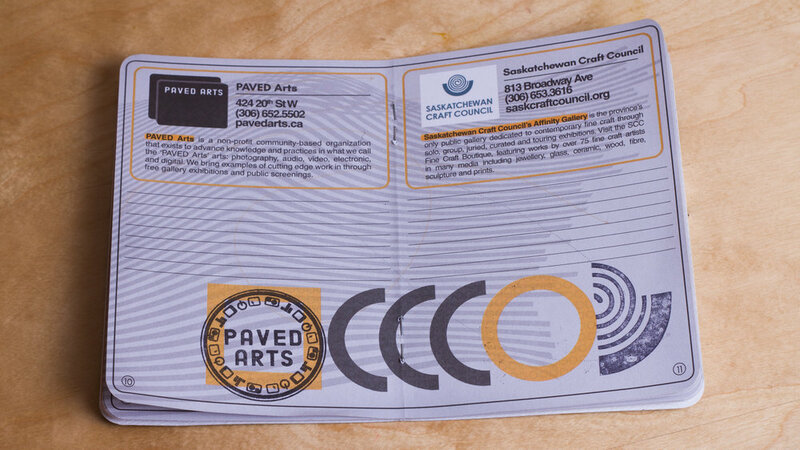 Art Passport YXE was developed in collaboration with Reilly Forbes during my time at artist-run centre, PAVED Arts. The project's purpose was to support the artistic community by bringing awareness to the art spaces in the city and encourage art lovers in Saskatoon to visit them. 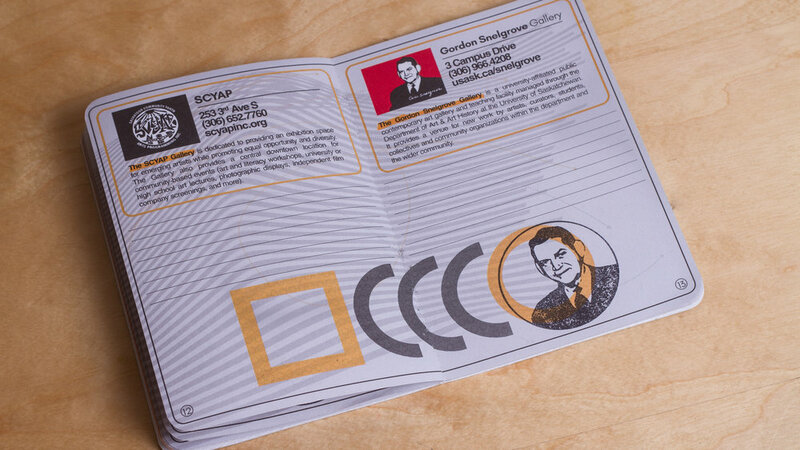 We drew logistical inspiration from the passport book, and added the interactive element of collecting stamps to add extra incentive to explore the art spaces within the city. The goal of the branding was to convey community. I wanted to make a strong logo with elements that could be repurposed for a variety of mediums, but be easily recognizable and cohesive throughout all forms of the project. 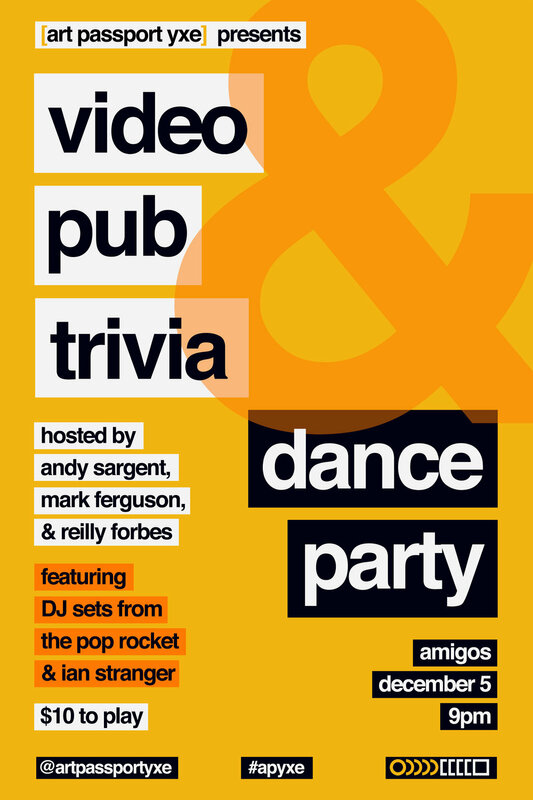 My role in this project was to determine the branding identity, and with that I created a logo, book, website, support graphics, screen printed poster, and an animated explainer video. The book consists of 20 pages, featuring collectible stamps as proof of gallery visit. I created an animated explainer video, complete with soundtrack, to introduce the project and outline the general goals of the project.